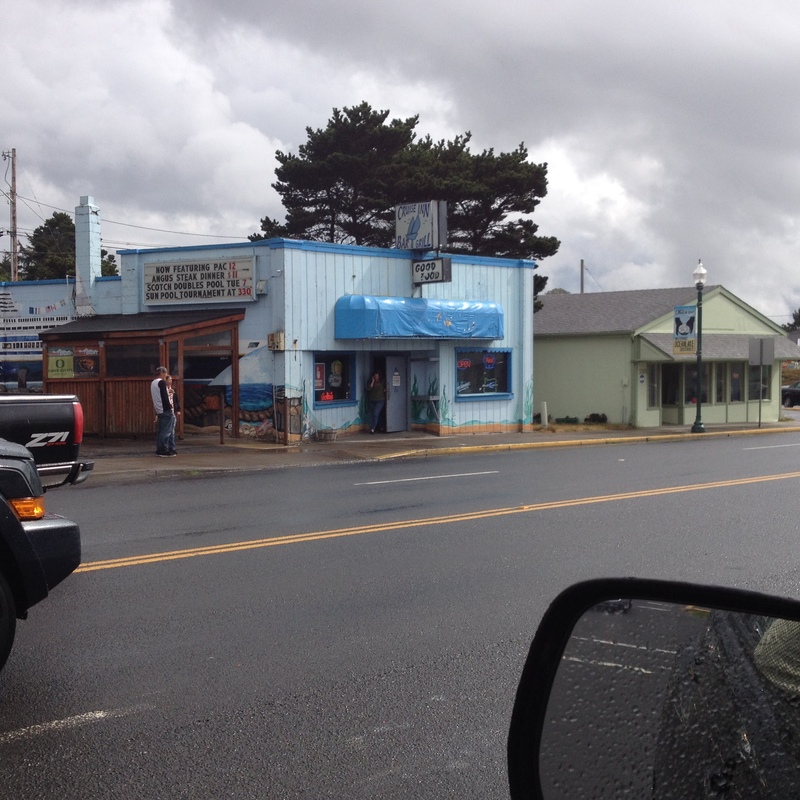 The Cruise Inn – only a block away from the Old O, is right on Highway 101 in the heart of Lincoln City in an old and somewhat ramshackle pale-blue (for the ocean??) building with what appears to be an ocean liner painted on the side. Having been on an Alaska Cruise earlier this summer, I can say it was not comparable to Holland America’s Statendam, but a colorful bar with some lively regulars inside. And how can you lose when you can buy three beers for $8.25. This set is in the back room after you pass the bar……..
You could have some great conversation with the regulars as you came in – or pass the bar – in a manner of speaking – and go into the back room for a game of pool or to resolve your legal issues using the ten-volume set of American Jurisprudence Legal Forms – 22,000 legal documents. 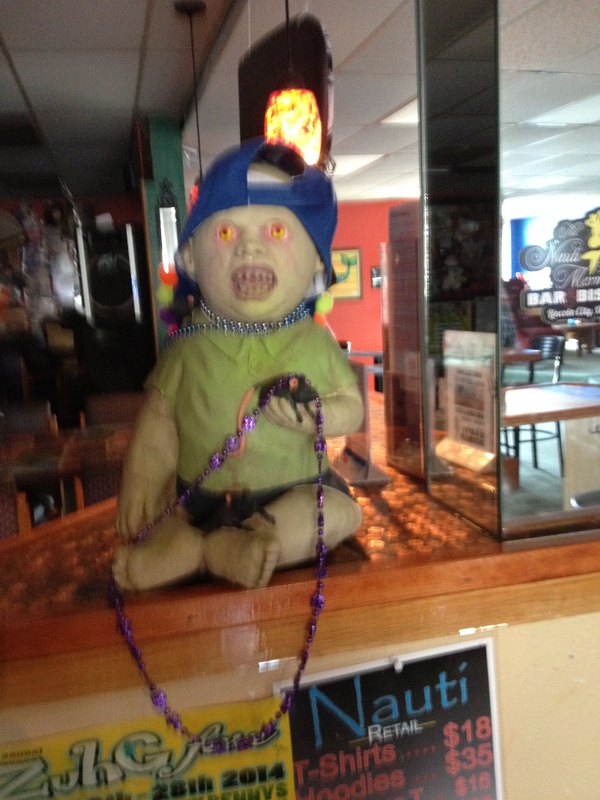 What better place to review a stock-purchase agreement or make revisions to a spousal indemnification for joint tax return, than in a coastal dive bar? 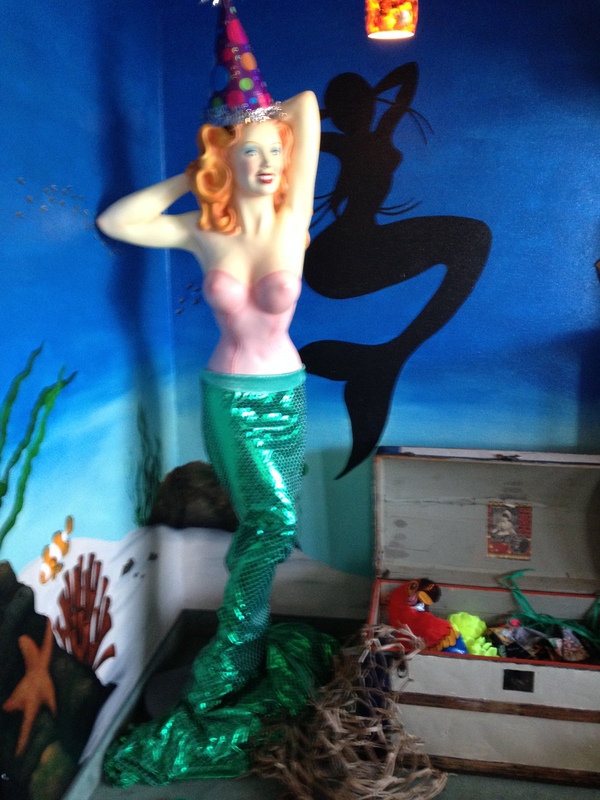 And right across the street was another favorite – the Naughty Mermaid, which according to the outspoken and experienced bartender, Di, had previously been home to a lending library, John’s Market, a donation store and finally a second-hand store before it became a bar. 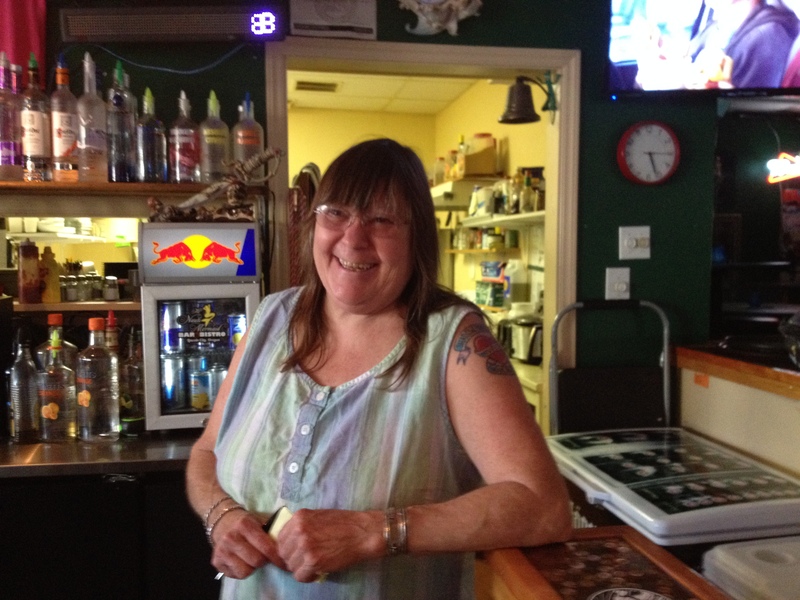 Di, a fixture in Lincoln City since 1986, has also poured beers in the Old O and the Cruise Inn before taking a job in a bar with a racier name and decorations….. The presence of an impressive piano on the stage, is explained by the second owner of the Mermaid, who was a classically trained pianist and would not play in public. Di said that he would come into the bar and practice each morning. 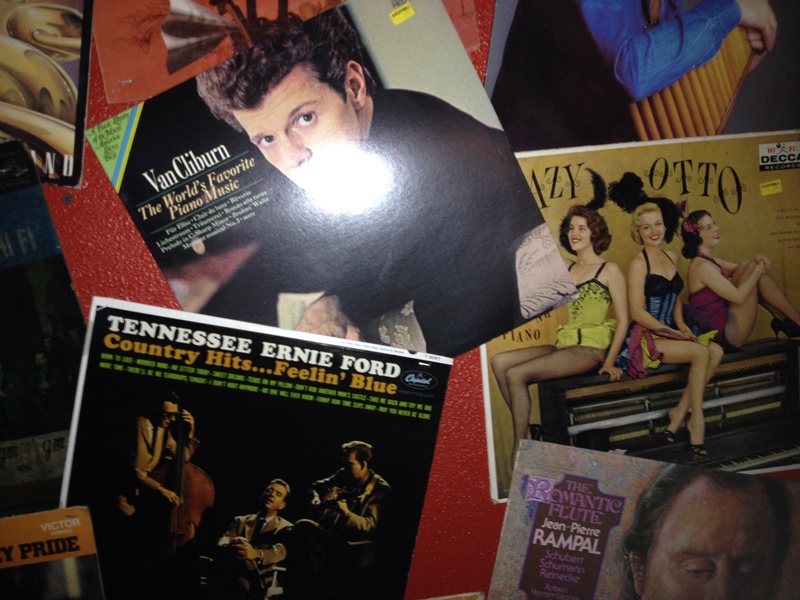 There are numerous interesting 33 LP covers hung on the wall in the entertainment area, including artists such as Van Cliburn and Tennessee Ernie Ford, which reflect the owner’s avocation. 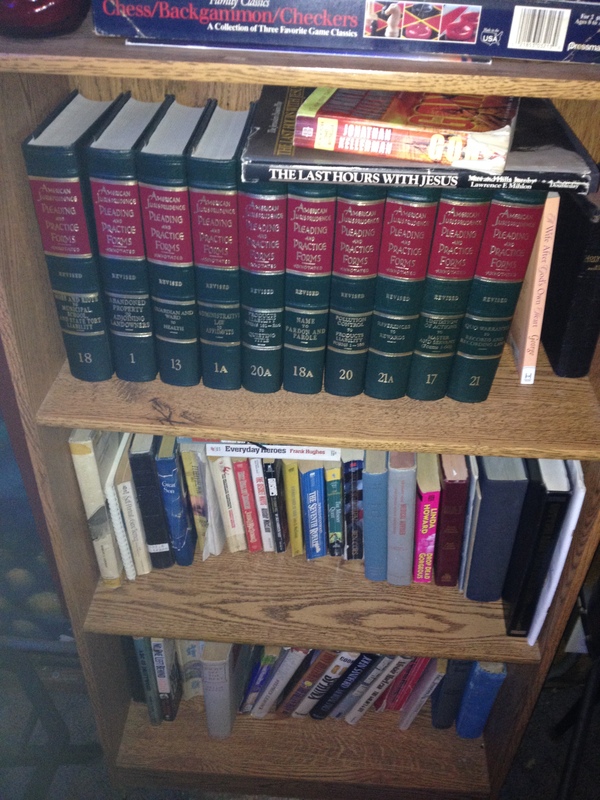 Let’s see…do I want Hemingway, Steinbeck or Danielle Steele? 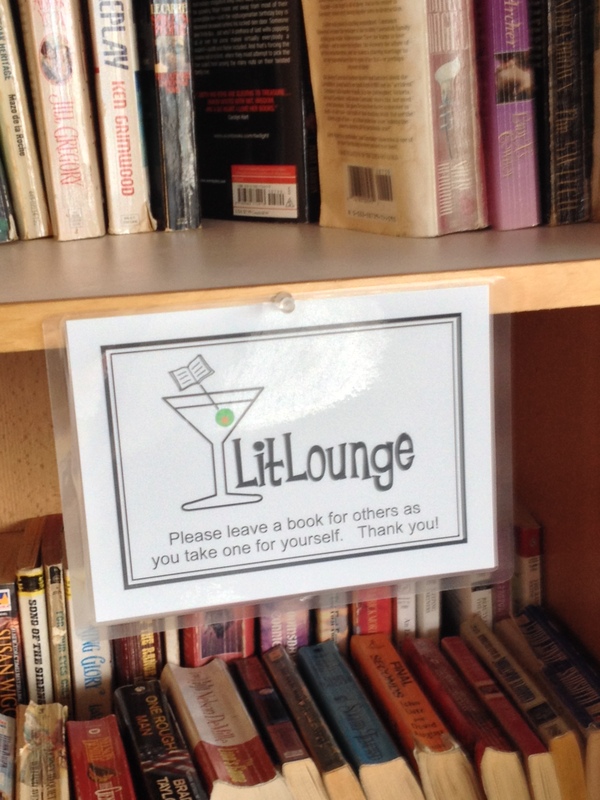 Although there are no legal forms, if you want to drink your beer while reading, you can sit in a nice over-stuffed chair and borrow a book from the Mermaid’s library. 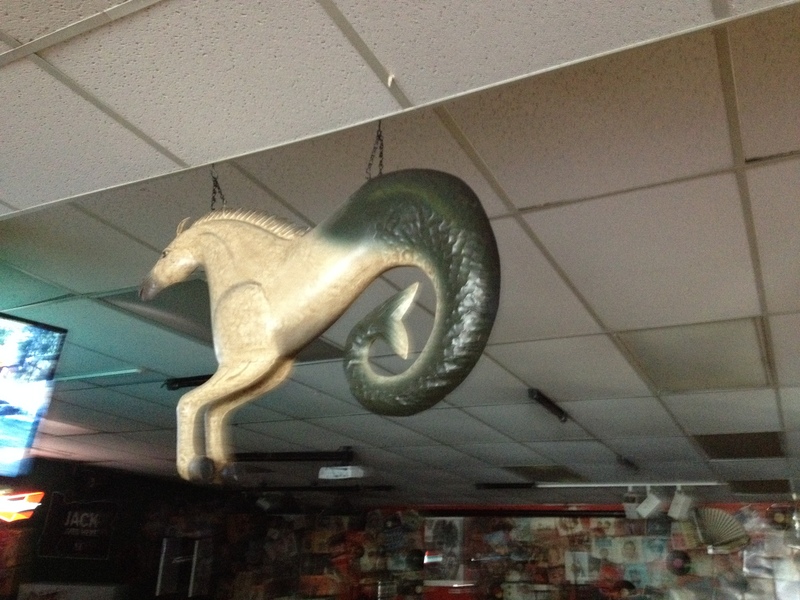 And like any good coastal dive bar, there are a lot of tacky beach-related knick knacks – such as an ivory sea horse, a scary gargoyle and the descriptive sign on the ladies bathroom. Snug Harbor also has an impressive deck on the second floor which would be a great place to relax over a beer on one of the few balmy days at the Oregon coast. 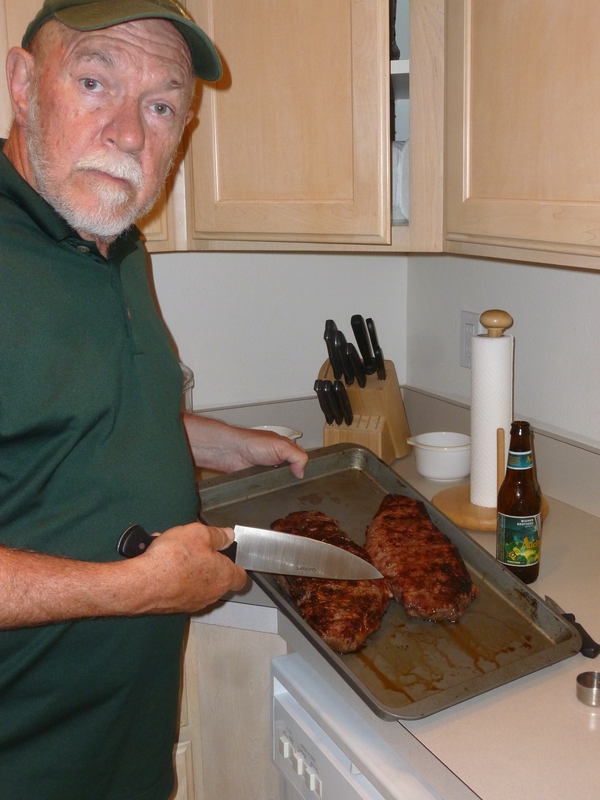 Maybe this was Paul Newman’s machine…. There are some great decorations including a gigantic chain saw and some posters including the one below that describes the Redhead Round-up. 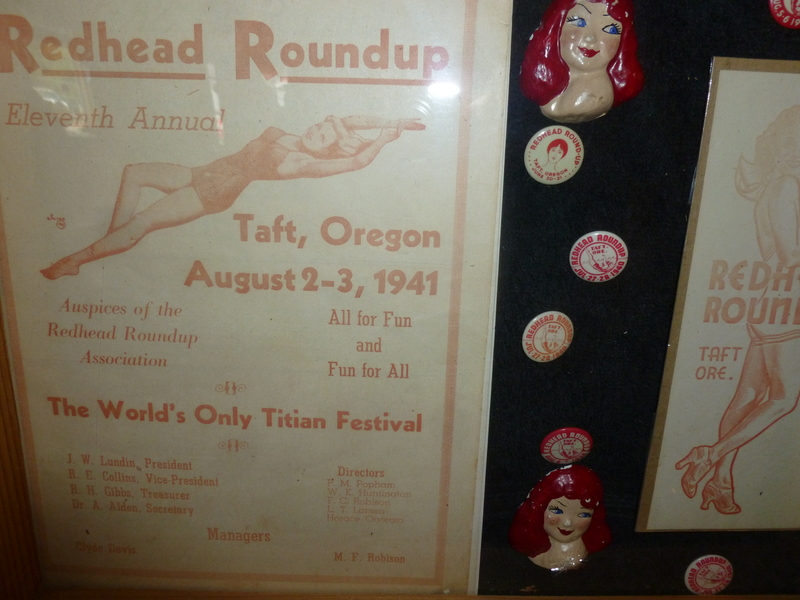 According to a Taft Historic District blog, “The first annual Redhead Roundup, originated by Taft Resident Manville Robison (a red-head himself), was held on August 23, 1931 and lasted into the 1940s. The beauty pageant culminated each year in the crowning of a Redhead Queen and King Eric the Red. Decked out with banners and posters. Where is Lindsay Lohan, when she could be useful? 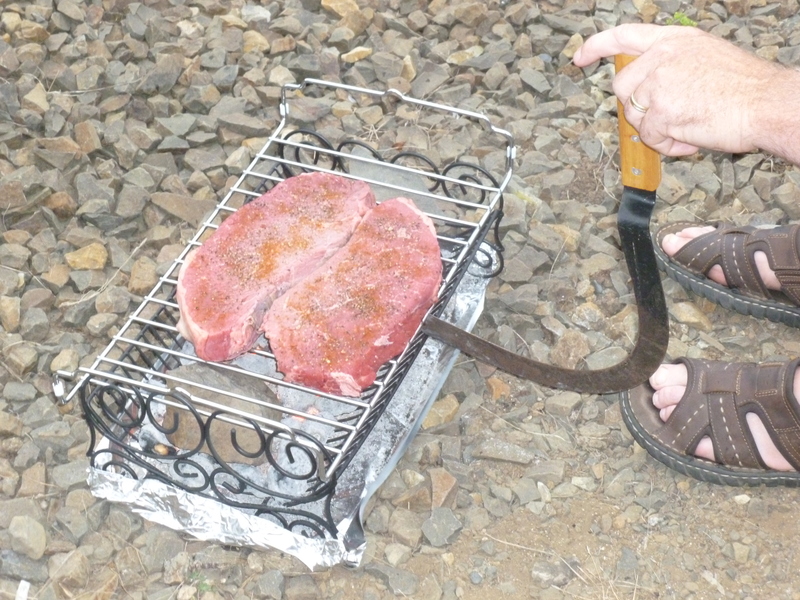 As we returned to our shelter for the last night, we realized that we had no grill, but a strong desire for red meat – like in steak! 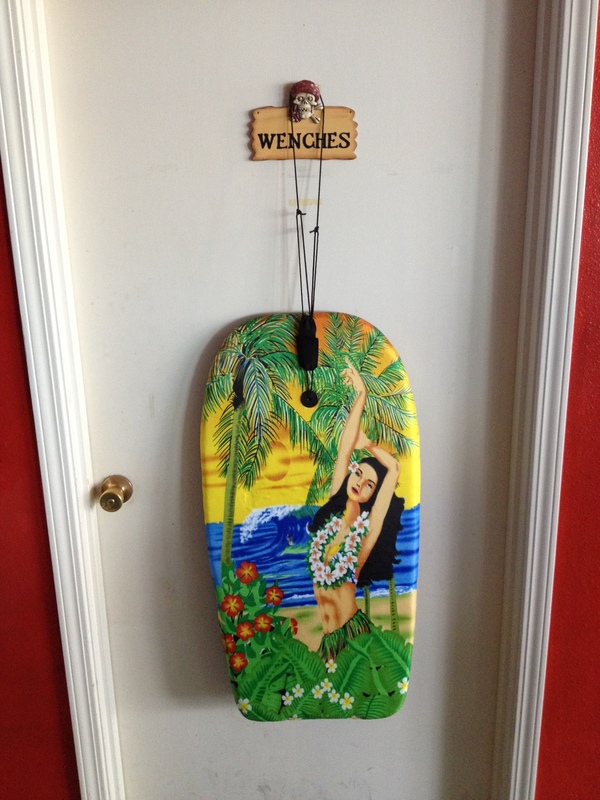 We reveled in our in resourcefulness after we rigged up the contraption below with a grate – purchased at the local Good Will store for $4.50 – and some coastal rocks for a platform. The end result is shown in the photos. So what were the highlights of the coast trip and were there any trends we could identify from the 13 establishments we visited in the 3.5 days. 2. Old and idiosyncratic buildings with hallways and side rooms that add to the character. 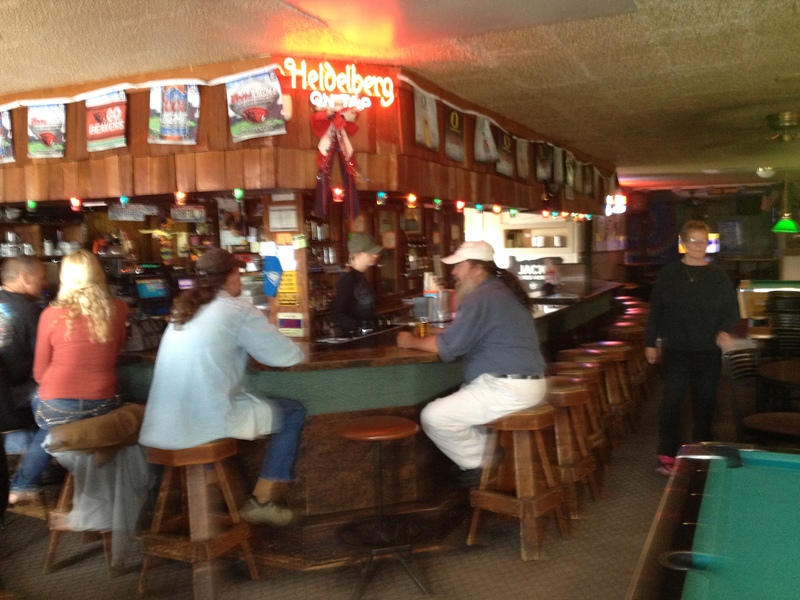 Great stories from the regulars reinforced by the memorabilia “decorating” the bars. And although it was not a highlight, one ubiquitous presence – video poker and slots as a revenue generator. We saw this first-hand at Lumpy’s, the Mad Dog and Hoovers when patrons with morbid intensity, each tossed away big bucks in record time. 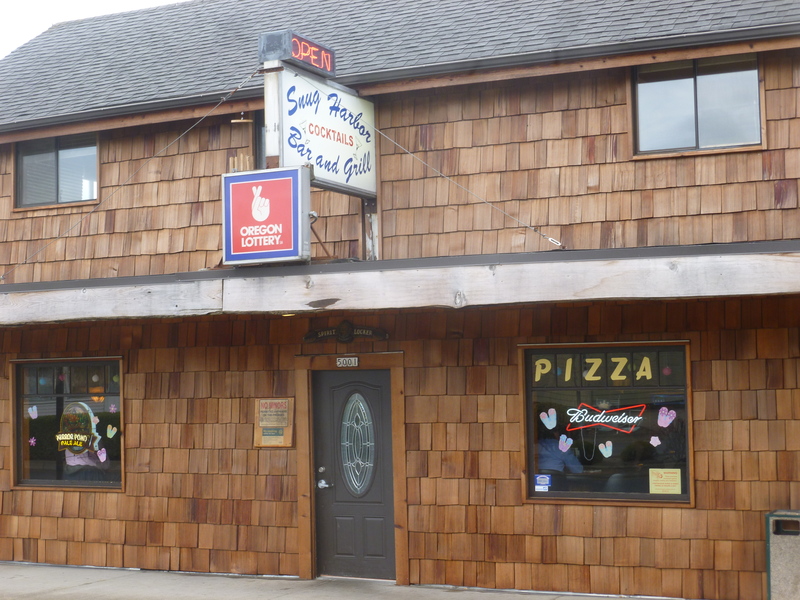 I love these taverns, so much in fact, that six years ago I began writing about the ones on the Oregon Coast where I live.…(in his excellent blog Letitpour.net) After all this exploration, doubtless I am an expert on Oregon taverns. 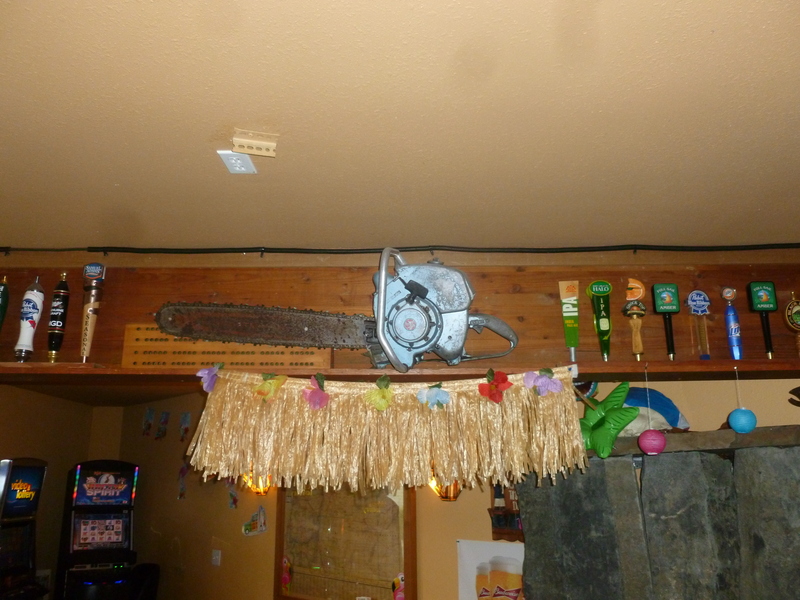 Thus, it is with sadness that I declare the unique cultural institution of the independent Oregon tavern is dead. The state of Oregon seriously wounded it with video poker, and more recently with the introduction of line games, (slots) killed it altogether.….In 1991 when the Oregon Legislature directed the Oregon Lottery to allow video poker in taverns and bars…..it was a frenzy. 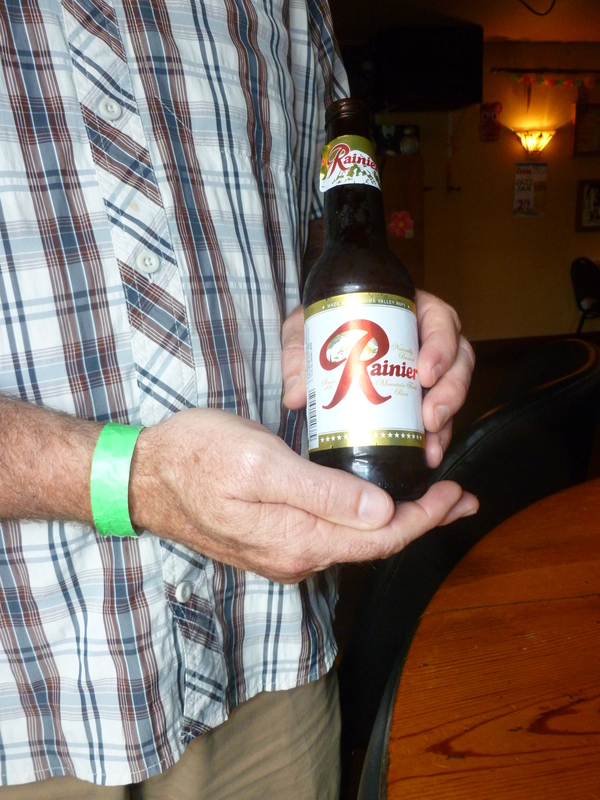 Notwithstanding the video poker issue, the three of us were so enamored with the coastal bars – they reinforced the enjoyment of our tour last summer of Eastern Oregon watering holes – that we ended by dreaming of a road trip next summer. 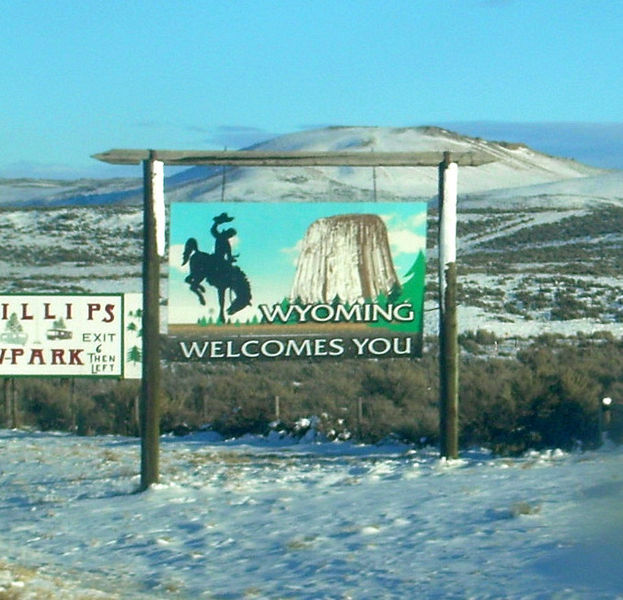 Perhaps it will be Montana or better yet, Wyoming, where Steve and his wife, Babs, taught school for many years in Thermopolis, (“A past to behold and a future to uphold.”) and can attest to the culture – one consistent with Beerchasing. 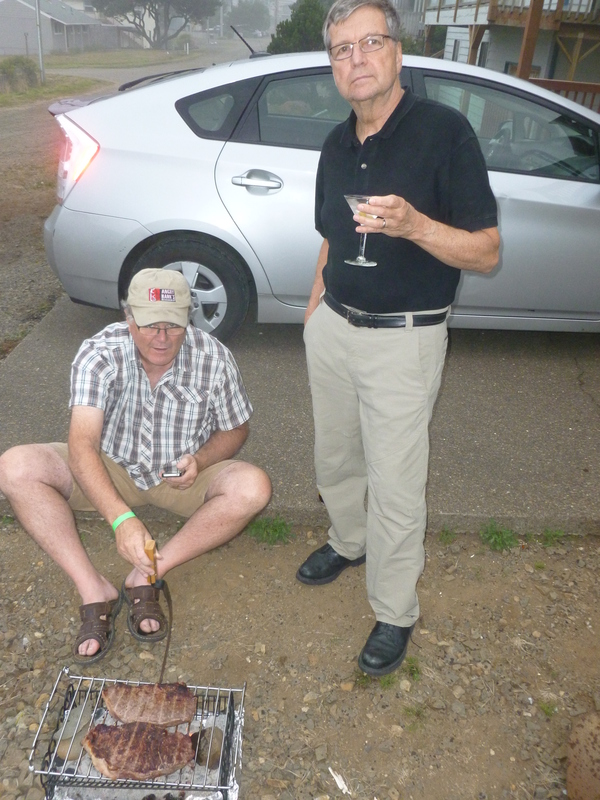 For example, at the Safari Lounge or Shirley’s Bar – Steve’s favorite bars – and the latter, one of the few watering holes I know with a drive-in window for customers on the run. These may have been replaced by Loonie’s Bin and the Flying Dutchman on Highway 20, which “…is the place to do it. 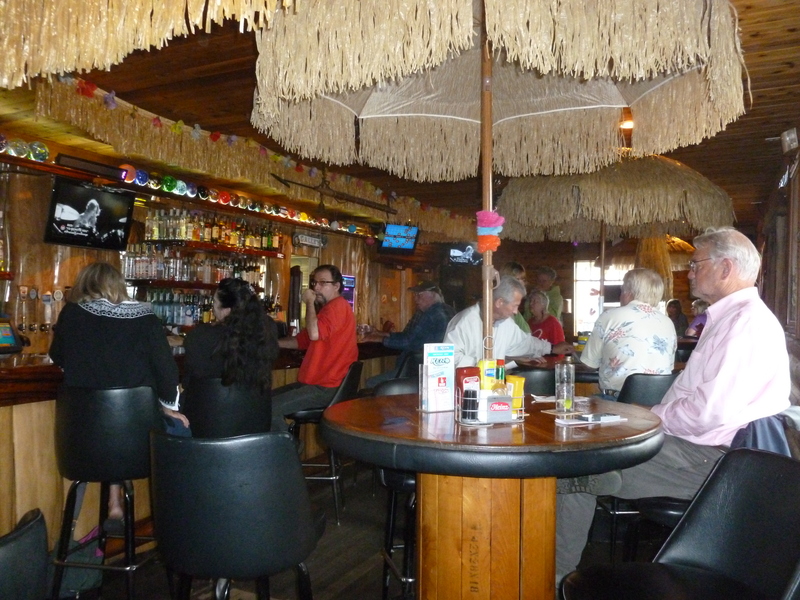 The drinks are strong, the atmosphere laid back and welcoming,” but some interesting bars need exploration. And if we don’t find the right bar in Thermopolis, we can take a short hop to East Thermoplis and find a viable alternative. We’ll report to you next summer. 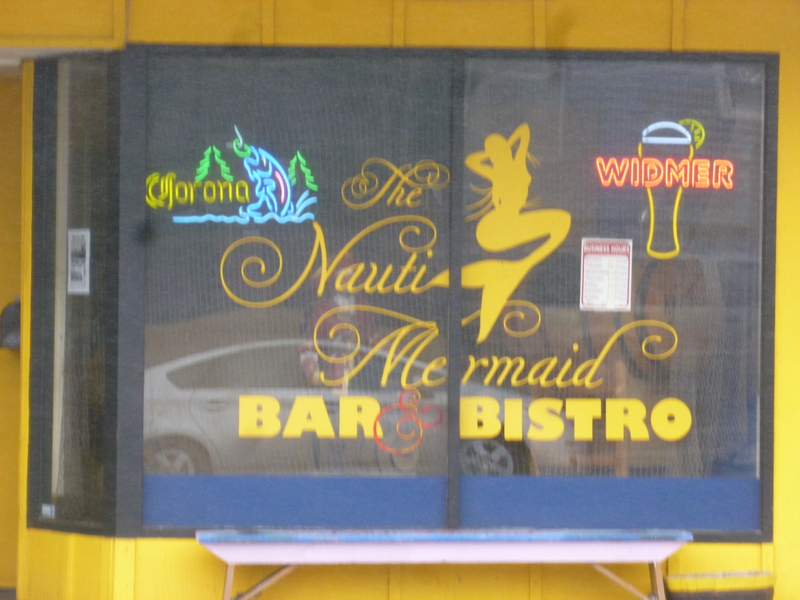 This entry was posted in Uncategorized and tagged American Jurisprudence Legal Forms, Flying Dutchman Bar, Holland America Statendam, Hoover's Bar and Grill, Lincoln City Redhead Round-up, Loonies Bin, Lumpy's Landing, Mad Dog Country Tavern, Matt Love Let it Pour Blog, Mo's Seafood, Nauti Mermaid Bar, Oregon Lottery, Pelican Brew Pub, Road House 101, Safari Lounge Themopolis, Shirley's Bar, Snug Harbor Bar and Grill, Sportsman Pub and Grub, Tennesee Ernie Ford, the Bay Haven Inn, the Cruise Inn, The Old Oregon Saloon, Thermopolis Wyoming by thebeerchaser. Bookmark the permalink.